Anger Management star Charlie Sheen has revealed he has three girlfriends and joked each one represents one of his failed marriages. 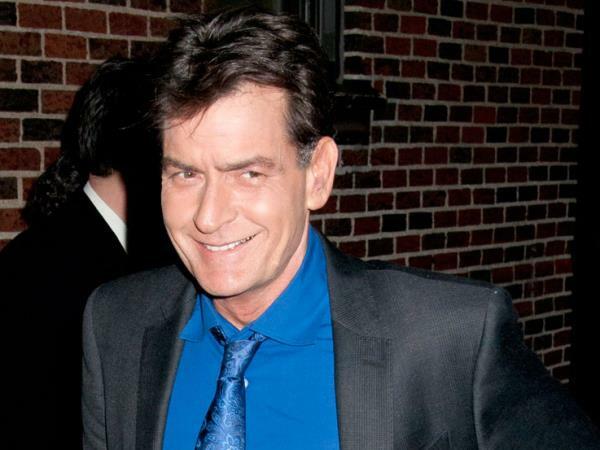 Charlie Sheen has admitted he has three girlfriends. The former Two and a Half Men star ? whose previous relationships with Donna Peele, Denise Richards and Brooke Mueller all ended in divorce ? has opened up about his unconventional love-life and revealed he has one partner for "each failed marriage”. Speaking on The Tonight Show with Jay Leno on Wednesday, he said, "I have three girlfriends now; one represents each failed marriage." The 48-year-old actor described them as "fabulous" and insisted his secret is that none of the three women live with him. He added, "They're fabulous and I'm trying to figure out this . . . get this experiment right for a long time, you know. "Jamie, Janet and Christa. One's blonde, one's [a] redhead and one's [a] brunette; I didn't plan it that way or anything, you know. And the trick is no one lives with me. That's why it's going to work this time." The star also insisted Selma Blair was "written out” of Anger Management to make the show less "dull". He explained, "One of our primary characters, Selma Blair, who played Kate, was written out because [the show] was not about our relationship, and the problem was too many people were still excited about the Two and a Half [Men] character and thinking the Anger Management character was a little dull. "So, um, that is not the case any more."